The development site incorporates the former Manchester Metropolitan University Hollings Faculty in Manchester, which contains three Grade II Listed buildings, designed by Leonard C. Howitt at Manchester’s City Architect’s Department and constructed in 1960, originally for the Manchester Central Girls & Women’s Institute. The redevelopment proposals are for a mixed use programme of housing, apartments, a gymnasium and retail/commercial space. 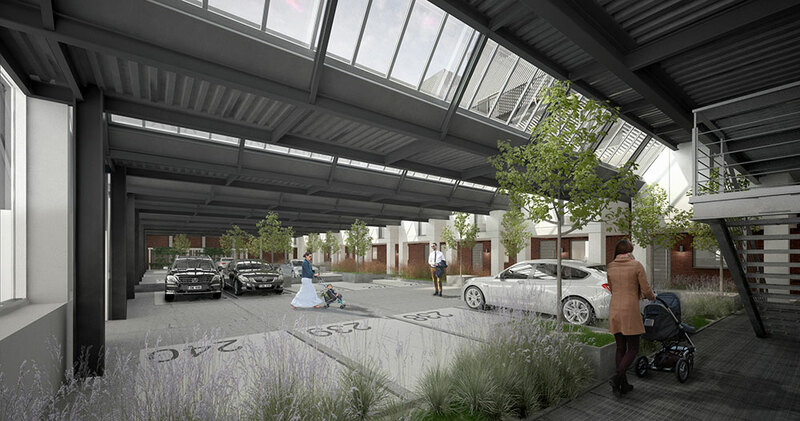 The proposals involve the redevelopment of a single story industrial structure – formerly a Stitching Workshop as well as an adjoining Gymnasium Hall, along with a new building at the front of the site. 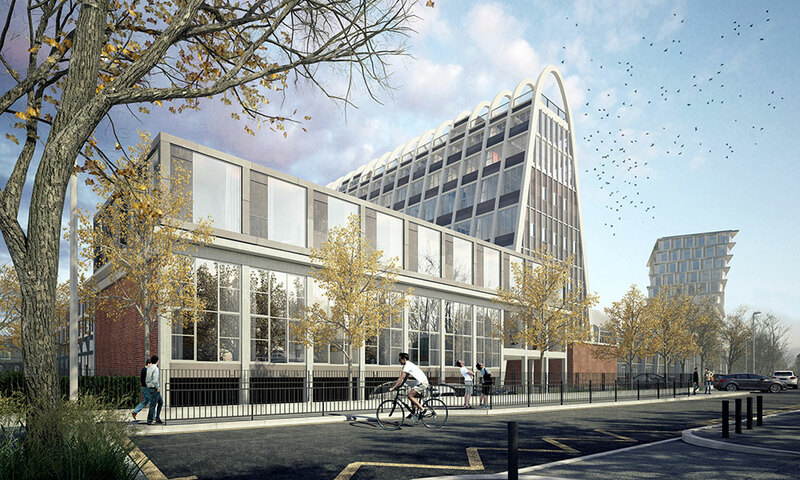 The new and refurbished buildings are being delivered as part of a wider masterplan for the site, which incorporates the restoration and re-use of the iconic ‘Toast Rack’ building on the site. The scheme will provide 107no. dwellings, 47no. of these will be within the redeveloped Workshop and Gymnasium building and 60no. 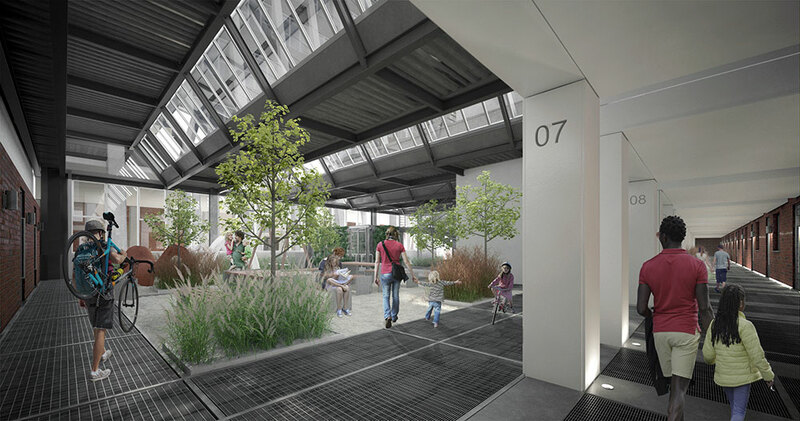 of these as part of the new building to the west end of the site (The Gateway Building). The retrofitting of the Workshop and Gymnasium buildings are designed and detailed such that the original building rooflines remain legible. It is proposed that two further storeys are added to the Workshop and one further to the Gymnasium in such as way that ensures reversibility of the scheme, should it be desired to return the building to its original state at some point in the future. 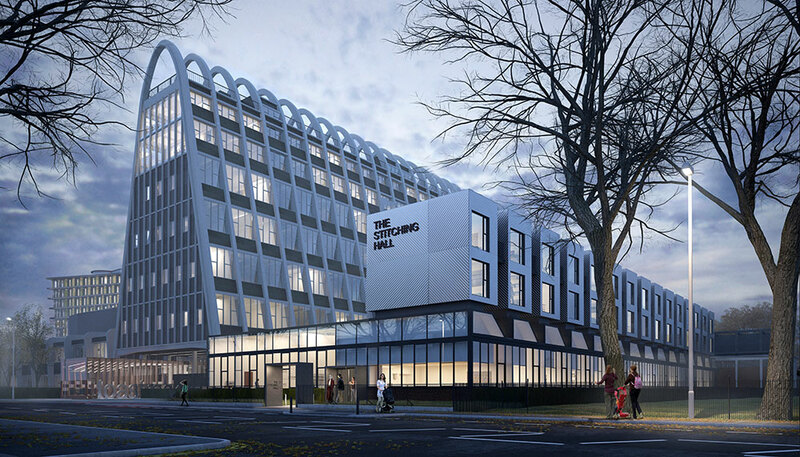 The Gateway Building is sited in the north west corner of the site, fronting onto Wilmslow Road. At this part of the site there is a natural clearing in the mature planting which has been identified as an area where a new building could be introduced with negligible impact upon the existing landscaped setting, as well as having minimal impact upon existing listed buildings. The scale and massing of new building relates to the existing listed site as well as the wider contextual and programmatic issues associated with a residential building. At ground level the building is raised up by two storeys above ground, with only the circular core meeting the ground. This ensures that the existing parkland landscape is allowed to continue, largely uninterrupted below the building, as well as permitting views through the building at street level to the Toast Rack and other historic elements. 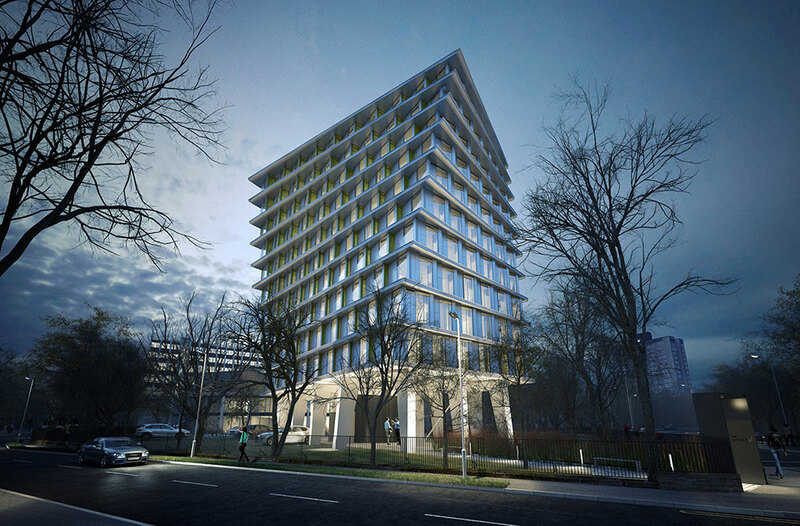 The primary move in the design of the Gateway Building is that the building twists in plan, rotating about a central axis that houses the main core and circulation structure. 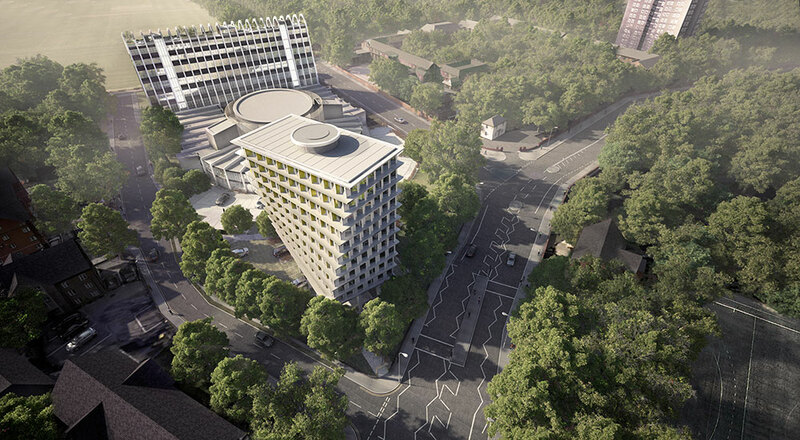 The twisting of the building responds to the pre-existing site axis at lower levels, rising to address the wider context of Wilmslow Road as the building gains in height to a rotation of approximately 30 degrees from its starting point. 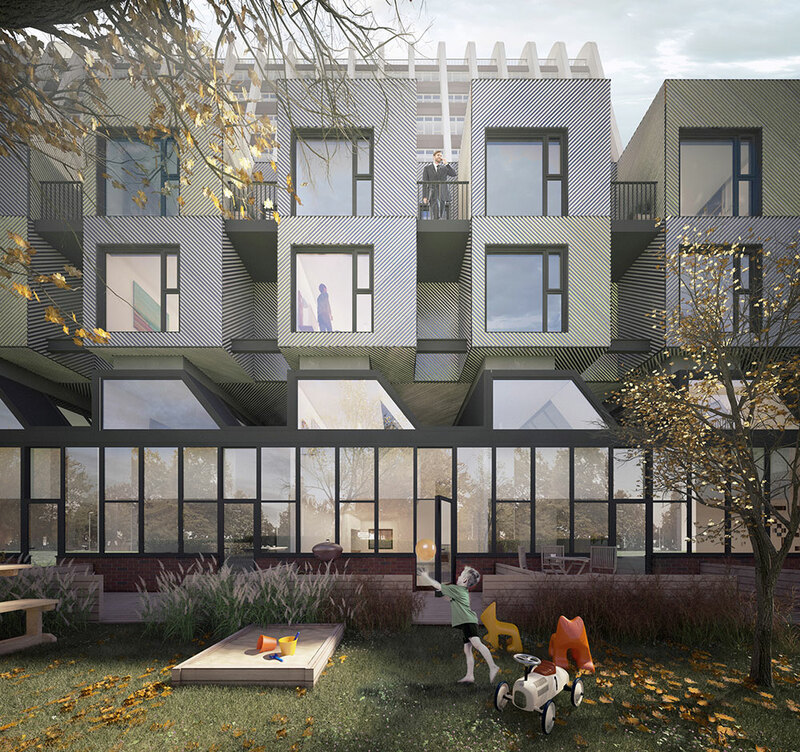 Not only does this move ensure that daylighting and views are maximised to each apartment but it also serves to create a dramatic and dynamic form that subtly references and compliments the existing buildings on the site. The structural expression of the building and the proposed nature of this buildings modular fabrication ensure that this new building is part of the same ‘family’ as the remainder of the buildings on the site, albeit one that is very much of the 21st century.